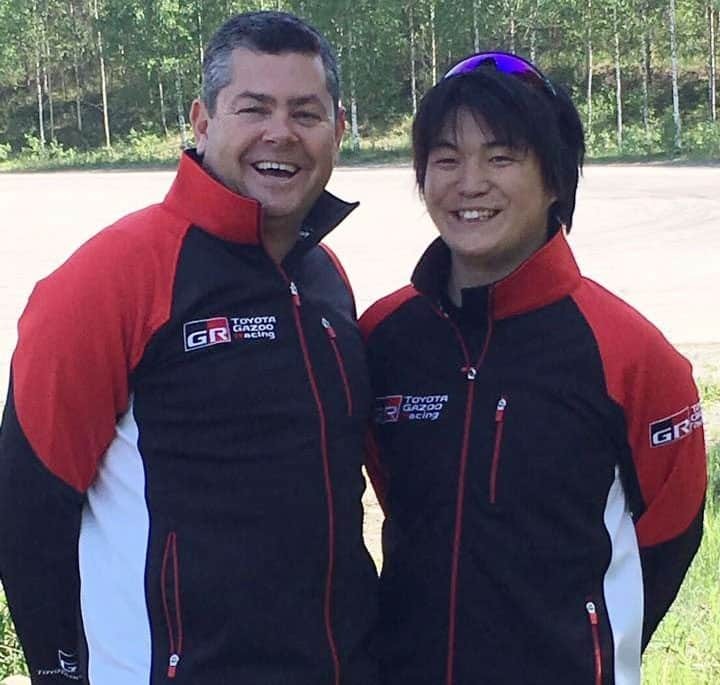 Glenn Macneall and his driver, Hiroki Arai. Australian rally co-driver, Glenn Macneall, is set for another season with Toyota Gazoo Racing, who have announced their Rally Challenge Program for 2018. The program supports young drivers competing in the tough global arena of World Rally. Macneall will again co-drive for Hiroki Arai. Arai and Takamoto Katsuta were chosen after auditioning in 2015 and then trained by competing in rallies in Europe. They will continue their training during 2018 while based in Finland, with the cooperation of Tommi Mäkinen Racing. During 2018, the drivers will focus on training by competing in rallies with the goal of further boosting their skills in the competitive environment. They are scheduled to compete in a total of 10 rallies, including five FIA World Rally Championship (WRC2) events in which they will compete with R5 cars (Ford Fiesta). Having previously competed in eight of the ten rallies, the familiar environments will enable them to concentrate more on competing than in 2017 when they were participating in many of the rallies for the first time. As a result, both drivers can be expected to show further growth and more active participation. As with 2017, Katsuta’s co-driver will be Marko Salminen (Finland).